← The Brownbread Mixtape is on the (Dublin Literary Attractions) map! 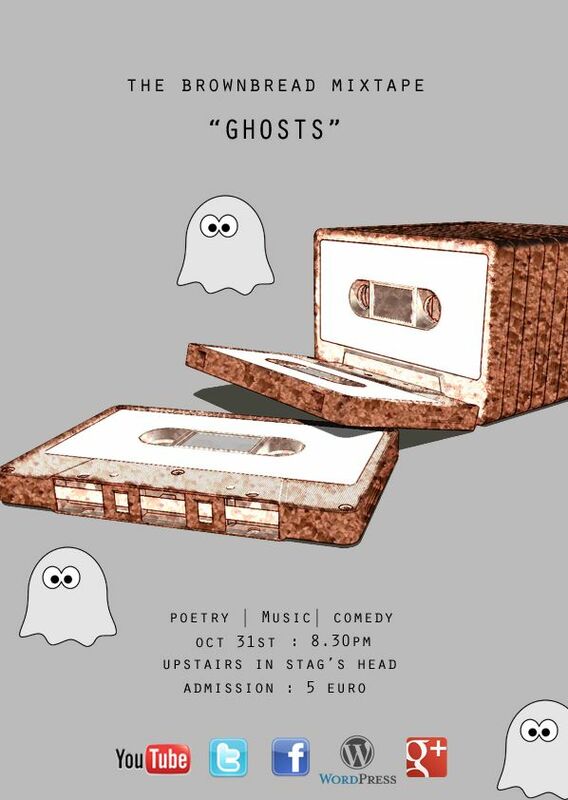 Join us on Wed, Oct 31st upstairs in the Stag’s Head. [Facebook event type thingy here] Resident MC Kalle Ryan will be in place to hold his applause sign aloft and keep the show rumbling along. Resident sound man Enda Roche will also be in the corner co-hosting and making it all sound really good. For a mere 5 EURO you will get to hear some of the very best musicians and spoken word artists this country has to offer. No exaggeration. Plus you will receive a delicious complementary rum based beverage in return for walking in the door and parting with a few quid. Pay on the door. No advance sales. Please spread the word! The reigning Leinster Slam Poetry champion and the man whose rhyme graces the intro of our podcast “You say Brown, I say Bread…” A rhymer, a dreamer, a hippy-hop inducing fever believer. John is as genuine as they come, with poems that tickle the funny bone, break the heart and raise the hair on the back of your neck. One of our finest wordsmiths in this fair isle. What Messi does with a ball he does with a word. Prepare to be floored by his way with words. Pearse is one of our all-time favourite performers and people. He hails originally from Sligo and in 2009 he released his debut album “Busy Whisper” to huge critical acclaim. Busy Whisper made many ‘Best Albums of 2009’ lists (No. 13 on Nialler 9, No. 6 on Phantom 105.2 and No.7 on Swear I’m Not Paul Blog) while the video for ‘Ways to Kill a Werewolf’ (Dir. Kevin McGloughlin) won an IMTV Award in the Best Male Video category. Pearse has performed at the most recent Hard Working Class Heroes Festival and his year has also seen him tour Ireland in support of his outstanding second album “In Movement”. Pearse also has the honour of being our first ever guest on the brownbread mixtape podcast, which is well worth a listen. Prepare yourself for a songwriter and musician at the height of his considerable powers. Poetic lyrics, exquisitely tight musicians and magical melodies. Justin is a solitary purveyor of sound, who lives in a wee cottage by the sea and records songs combining violins, thumb piano, electronica and his voice. His 2010 record ‘The Dissolving’ met great acclaim after many months of touring live. Nialler9 put it on his best of 2010 list, plus lots of people said nice things about it. He is currently working on a brand new album of violin studies in his own inimitable style. the brownbread mixtape is jazzed to welcome the inimitable and eclectic musical magic of Justin Grounds to the stage. ‘Accident & Emergency’ were formed in 2011, when after meeting at a gig Aideen asked Andréa to help her move house. Andréa had a car and although she isn’t very assertive – one thing she is is extremely sound. While moving the very heavy furniture down the stairs of the Parnell Street abode (there wasn’t a lift) it occurred to Andréa how hilarious Aideen was and although it can be quite dangerous to make somebody laugh while lifting something, she still appreciated it. They started writing comedy together from then on and have recently returned back from a successful run at the Edinburgh Fringe Festival. ”Comedy duos usually have a schtick, and Accident and Emergency certainly have theirs down.” – The Skinny. One of the most enjoyable parts of the monthly brownbread mixtape show are the original sketches written and performed by our very own Brownbread Players sketch troupe. The troupe is made up of professional actors Gus McDonagh, Niall McDonagh, Eva Bartley and Sean McDonagh, as well as our own chancer Kalle Ryan . All of the sketches are performed in the style of a live radio comedy show (akin to the classic Goon Show), complete with bloopers, giggles and audience interaction. They are consistently hilarious and are often the most popular element of our show. They are absurd, silly, satirical and a super-rapid-deadly-buzz! 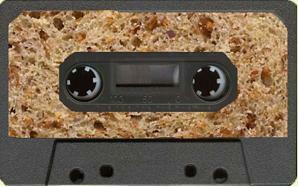 Pingback: I Loaf You: Brownbread Mixtape’s ‘Heart on Sleeve’ | Must. Have. Input.